Every week I share a book trailer of new releases, books we (other readers and myself) love, want to read, and anything that fits in with BA, in the hopes of helping readers find something new to enjoy. If you’d like to share a trailer for other readers to watch, including if it is your own, please read through my Special Features Policy and feel free to forward any enquiries. Parker McCloud at North Tharsis is a short story tie in with the Lunara Series by Wyatt Davenport. In this short story Parker is fresh from the military academy on Mars and stationed at his first colony. We get to follow him as he stands up for the people of North Tharsis, defending them against a tyrannical leader. I’m sharing my thoughts on Parker McCloud at North Tharsis, part of the Lunara series, from the perspective of someone who has read the main story, Lunara: Seth and Chloe, which it is attached to. If you’ve not read the main story and are considering reading North Tharsis beforehand, I feel you can do so without spoiling Seth and Chloe. It’s a bit hard to find a proper synopsis of 2BR02B to share with you so instead I’m going to post something about it myself followed by my review. 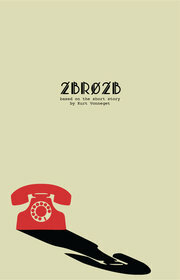 All that you need to know really is that 2BR02B is a science fiction/dystopian short story. Yeah, I’ve never been good at summaries unless it’s extremely detailed. I think it might be possible that I may become a Kurt Vonnegut fan. I want his book Bagombo Snuff Box (which has 2BR02B), but I haven’t actually read any of his work until now with 2BR02B (pronounced 2 b r naught 2 b).